You select what you wish to call Your Hotel Academy e.g. www.innside.org, www.mdhuni.com. We then register the domain and begin the initial construction. This includes our secret sauce technology including SSL security. Gather all the information you have relating to standards and processes and explore anything new you think your operation would benefit from. (Day 1). This often takes the form of a senior leaders meeting. Loading the information into your bespoke Academy fills day 2. We agree on the most intuitive menu system and we also configure auto routing email reporting. All users are also loaded at this point. On day 3 the in-house champion (who’ll run your Academy) is fully trained to take control. Day 4 is a full day of training for your team. 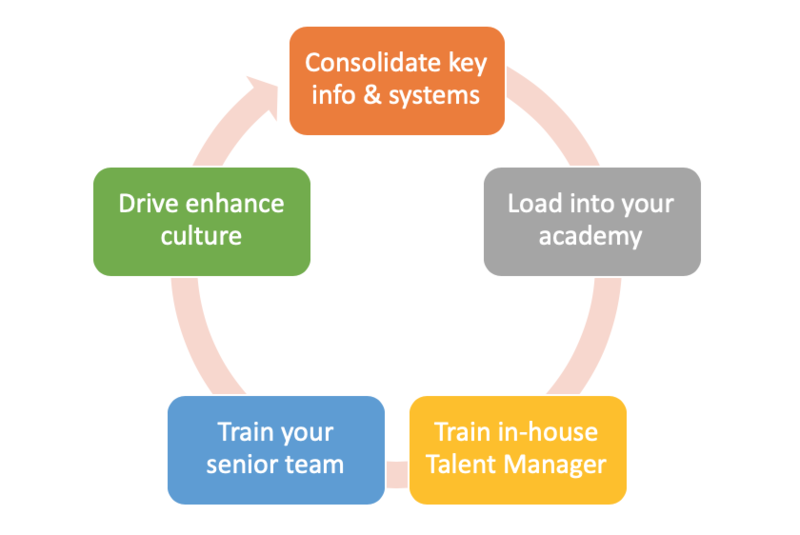 This the beginning or detailed process management that will bring your Academy to life in your business. Day 5 involves monitoring the system to ensure stability after which the simplicity and precision of the system will take hold.